TOKYO -- The mother of a Japanese girl abducted by North Korea is thankful President Donald Trump mentioned her in his U.N. General Assembly speech and hopes it could be a chance for a breakthrough. Megumi Yokota was abducted on her way home from school after badminton practice in November 1977. Japan's government recognizes 17 of its citizens as abductees by North Korea, and Megumi, who was just 13 at the time, has become a symbol of a national movement to resolve the abduction issue. "I was really surprised, but it was great, and I'm thankful to (Trump) for bringing up the issue and putting it into words in front of those representatives from around the world," her mother, Sakie Yokota, told reporters Wednesday. "Every word on the issue is a chance. I believe (Trump's words) had a profound significance to the issue." Trump listed several accusations against North Korea in his speech Tuesday, saying in reference to Megumi, "we know it kidnapped a sweet 13-year-old Japanese girl from a beach in her own country to enslave her as a language tutor for North Korea's spies." 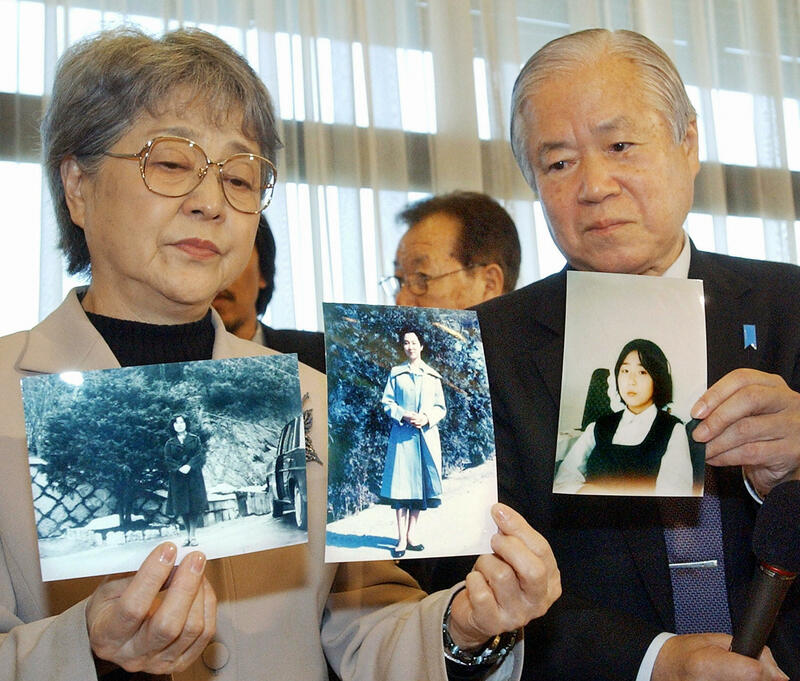 North Korea, after years of denial, acknowledged in 2002 that its agents had abducted Japanese citizens to train spies in the 1970s and 1980s and eventually returned five of them. It said Megumi died and says others never entered North Korea, but Japan disputes that and is seeking further investigation.